The Greater Arkansas River Nature Association will host a community meeting in Buena Vista on April 17 at 6:00 pm. 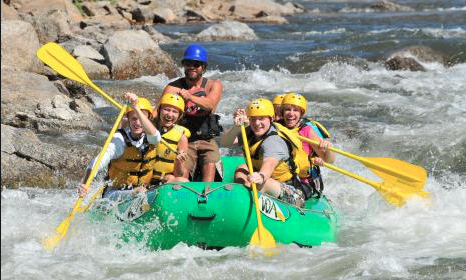 GARNA’s work with Chaffee County’s GOCO Inspire Initiative, highlighted inequalities in youth access to recreation activities in Chaffee County. Many youth living in Chaffee County, and especially those in more rural locations do not have the opportunity to participate in the great outdoor activities that surround them. GARNA has sponsored Western Colorado University graduate student, Brittany Massey, to engage the community in identifying and addressing barriers youth face in getting outdoors. A community meeting has already taken place in Salida, but Massey is facilitating a second workshop in the Buena Vista community where participants can discuss and identify barriers youth face and develop next steps in taking action.